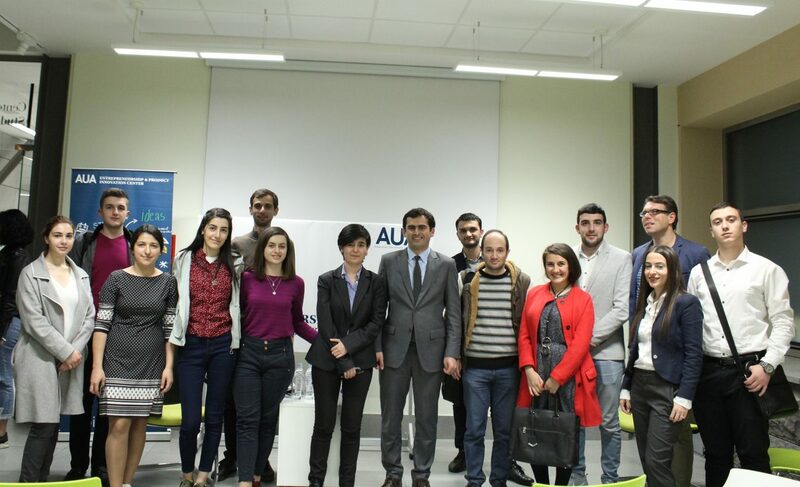 YEREVAN, Armenia ‒ On November 2, Hakob Arshakyan, Acting Minister of Transport, Communication and Information Technologies of the Republic of Armenia (RA), visited the American University of Armenia (AUA) to have a discussion with AUA students. The event was initiated by the Entrepreneurship and Product Innovation Center (EPIC) and hosted by the Speak-up Club at the Student Union. 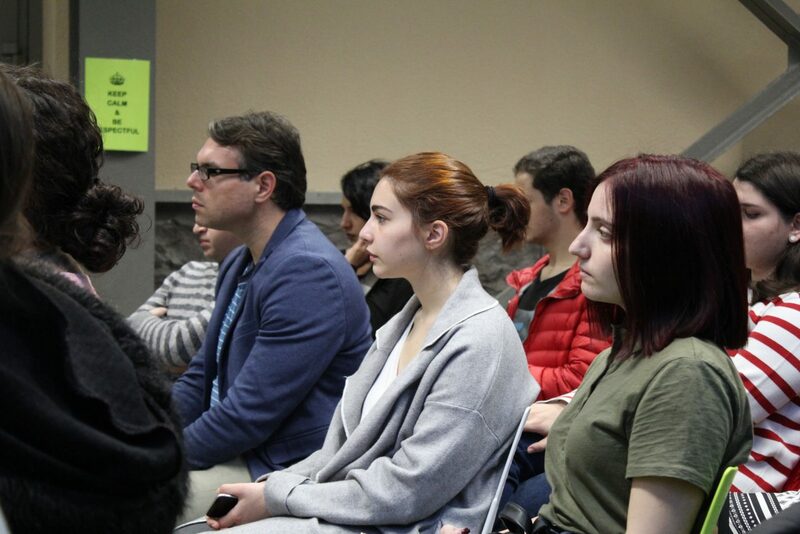 The main topic of discussion was Armenia as a tech-friendly country, but issues related to transportation and road construction were also discussed. 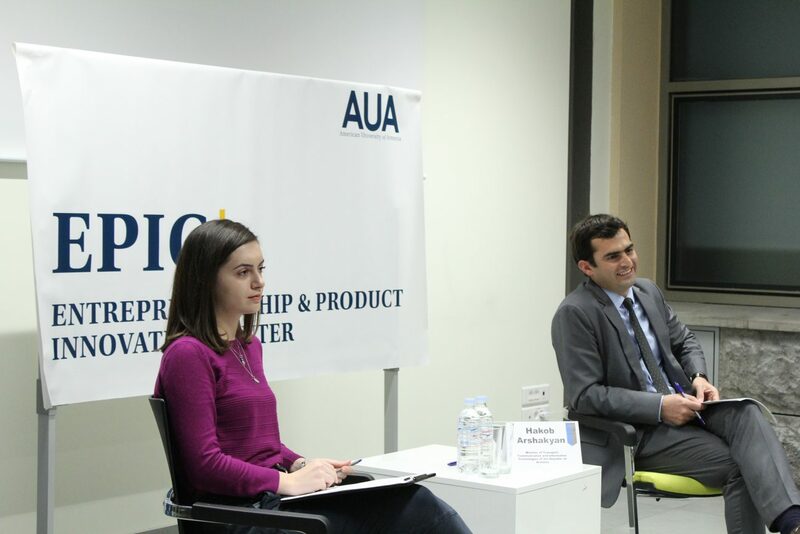 Arshakyan shared his personal and professional experience as an engineer, talked about his resolve accepting a ministerial position and presented his vision of the development of Information Technologies in Armenia. AUA students were actively engaged in the dialogue with the Minister. 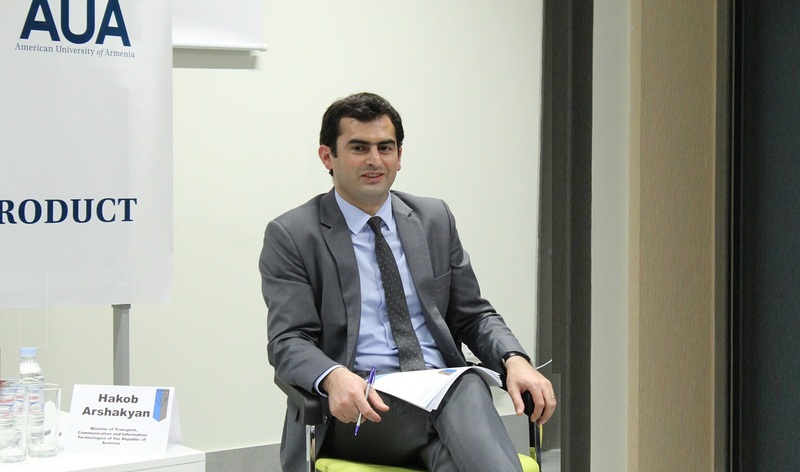 Arshakyan highlighted several principles that the Ministry has adopted to promote the rapid development of the technology sector, including attracting international companies to Armenia, supporting educational and research projects through grants, and creation of a large venture capital fund to benefit not only Armenia but also the region. Minister Arshakyan stressed the important role that the educational institutions have in creating high-quality professionals in IT. He added that his Ministry will be working with the Ministry of Education and Science in this pursuit. “Now some large companies have their in-house educational programs, but I think that close cooperation with universities will produce better results,” he added. Touching upon numerous issues related to the transportation sector, he mentioned that there is a need for serious reforms in the sphere. The transportation system is one of the priorities of our Ministry. At present, the Ministry is conducting studies and assessments for providing high-quality transportation services to passengers commuting throughout Armenia.